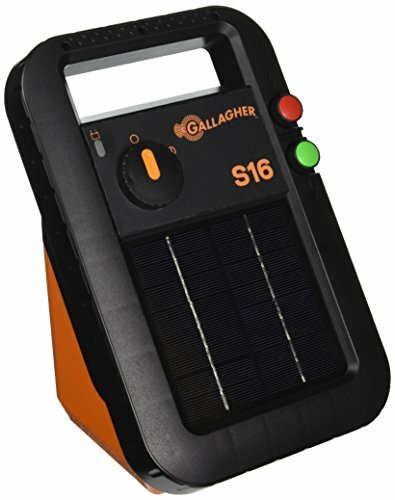 Which Is The Best Solar Fence Charger For Horses? If you keep horses, you are going to need some electric fence. 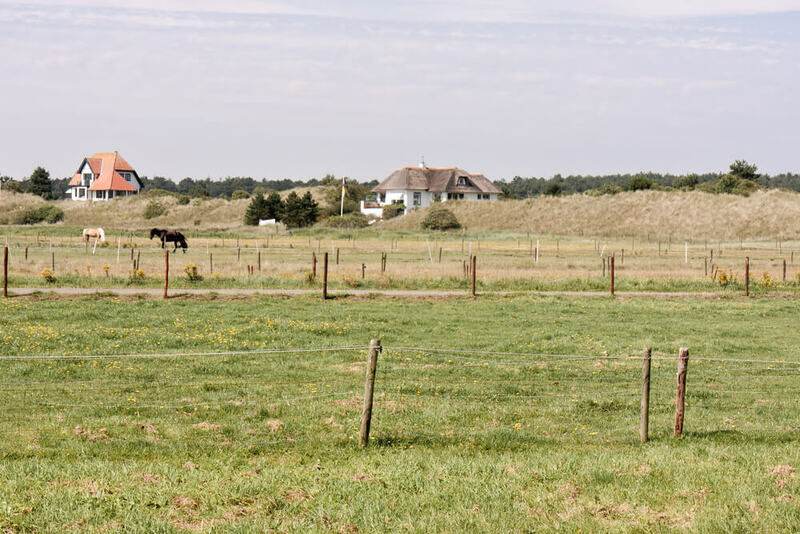 Even if you keep them in post and rail paddocks, chances are you will need to fence off a little bit at some point, either to reduce grazing, care for a poorly horse or allow new arrivals to get used to the herd. Having a good fence charger is essential, because if there is no charge going through the wires then the horses will never learn to respect the electric tape, and then all your hard work making the paddocks will be completely ruined, as they will barge in and out wherever they fancy. A fence charger can be attached to a battery, but a more efficient (and cheaper) way of charging your fences is to use solar power. Where on earth do you find the best solar fence charger for horses? You have a read through the three fine examples we have laid out below, that’s how! This is a highly efficient, hardworking charger that is easy to set up and comes with a two year warranty in case of any problems. Covers 25 miles of fencing – That is a lot of fence to be covered by one charger, and makes it cheaper for you than having to buy more than one. You can be sure that the charge at the end of the 25 miles is as good as at the start, too. Works even in heavily weeded conditions – Gone are the days when you had to practically shave the grass below the fence to stop it from touching the wires! The low impedance of this fence means that it can cope with a strand or two of grass touching the fence without shorting out. Suitable for use with all types of electric fence – Whether you favour tape, polywire or high tensile wire, this charger’s got you covered. Delivers a strong charge – This fencer will give your enclosures a good “bite”! It works on a pulsing method, meaning that there is no chance of an animal getting caught in the wire and being unable to escape because of the constant electricity. May be issues with longevity – Some users have suggested that these units don’t last long and may need replacing after a year. All in all this is a great solar charger. It comes in a rugged weatherproof box, with easy mounting holes to fix it to a fence or a shelf. A good solar charger which also comes with a battery for extended sunless periods so you know that it will still work even in the deepest, darkest depths of winter! Powers up to 30 acres, or 10 miles – If you have a lot of fencing that you need to create and only want to buy one charger, make it this one! It can keep a whopping 30 acres of fencing live at a time. Unique battery saving technology – This innovatively designed charger will still work even when there is no sun, thanks to the battery it is supplied with that can store energy and switch to using this instead of solar power. Easy to install – This charger is very simple to affix to fence or gate posts, and will not come down in high winds. There is a light to tell you it is working – You don’t have to test the fence on yourself to be sure that it is working! There is a blinking light which will tell you that your unit is functioning. It’s quite expensive – As solar chargers go, this one is at the pricier end – but how comforting to know that it will power your fences and keep your horses safe. That’s pretty priceless, right? This is a quality fence charger that delivers a good sting if a horse touches the fence, and it will continue to work even without sunlight. 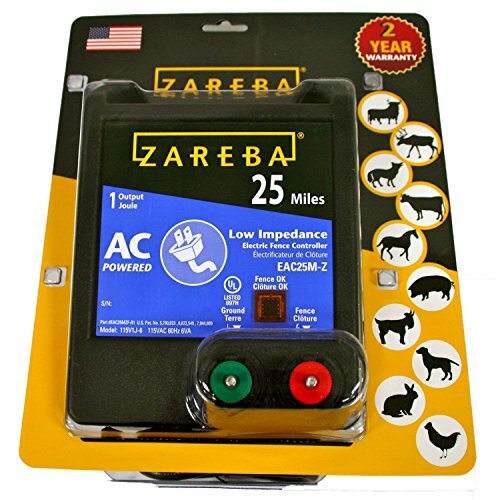 This low impedance fence charger works extremely well as long as it is installed correctly, with a good grounding point (if you already use a fence with a charger you will know this already!) It is made in the US from high quality components, and it delivers a high quality shock. Works even through wet weeds and brush – Even if the odd wet strand of grass is touching your fence, this charger will still send a charge through it – unlike some others that require absolutely nothing to be touching the fence. Charges up to 25 miles of fence – Having a charger that can cope with a large area is a must for a good solar charger, and this one really delivers on that score. 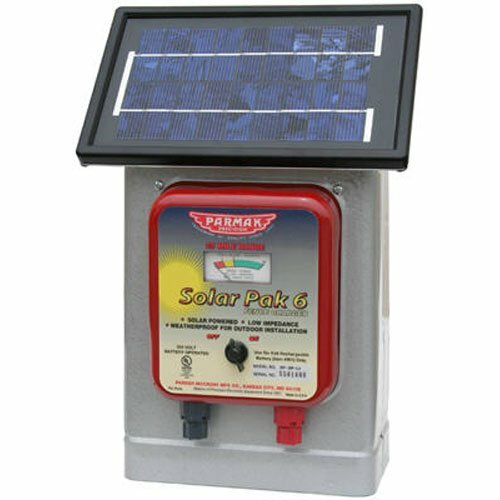 Comes with a battery – Used for storing energy in the case of little or no sunlight, a good battery is a must with your solar fence charger. Solar panel positioning can be changed – You can choose to have the solar panel either on the front or the back of the charger, which is great because it means you can customise it depending on your individual fencing needs. There can be an issue with holding a charge – It has been reported that these units can sometimes lose the ability to hold a charge, but they have a warranty so yours can be replaced if this happens. Parmak have made a good fence charger that does what it says on the tin – it will keep your horse safely on the side of the fence that you want them! The best solar fence charger for horses needs to be strong, weatherproof, pack a great punch and be efficient enough to power a lot of fencing all at once. Have a read through the products above, and do away with worries about your horses escaping into their neighbour’s paddocks!